MAXIM - For all the work McLaren Automotive has done in recent years to climb the supercar hierarchy, its reputation is still based on its success on the track. Worldwide, the brand is associated not only with Formula 1 but also the most celebrated driver of modern times, the late Ayrton Senna. So it’s natural that the British automaker’s most performance-obsessed supercar is named ater the Brazilian Formula 1 icon. Whereas most of McLaren’s road cars balance performance and aesthetics, here McLaren’s design team focused entirely on aerodynamics. 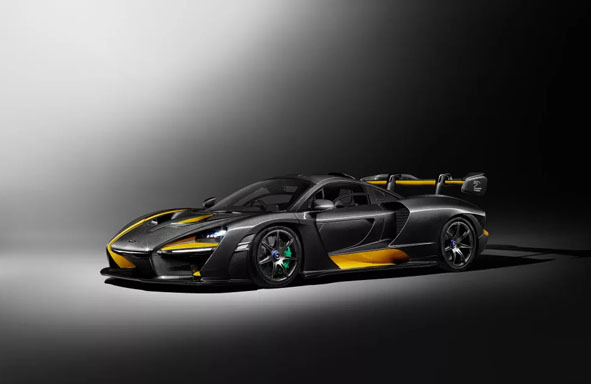 The Senna’s body is designed to improve airlow, both into the engine for power and along the exterior for maximum grip. The result is unapologetically brash and aggressive, with air intakes and vents strategically placed around the body and a massive rear wing.